Director of the Teaching Mission. He says, “Commanding officer is somewhat of a strong term made for mortal understanding. I co-command with my associates and fellow teachers. I receive my commands from Michael and I pass them to my associates and to you, my mortal students.” He is the same Abraham mentioned in the Bible, a student of Machiventa Melchizedek during the Third Epochal Revelation to Urantia, giving him a unique perspective as a teacher. Along with Paramahansa Yogananda, they are among the few teachers known to have hailed from Urantia, our planet. Many of the things that we know about Abraham come from the Bible, is enhanced and made quite real because Abraham will talk about it. His authority is his experience. He has been the group teacher for Woods Cross, Utah since 1995; previous to that, he taught in New Zealand. It is beginningless, endless, timeless, and spaceless. For example: On Paradise, time and space are nonexistent; the time-space status of Paradise is absolute. This level is Trinity attained, existentially, by the Paradise Deities. Finite possibility is inherent in the Infinite, but the transmutation of possibility to probability and inevitability must be attributed to the self-existent free will of the First Source and Center, activating all triunity associations. Only the infinity of the Father's will could ever have so qualified the absolute level of existence as to eventuate an ultimate or to create a finite. With the appearance of relative and qualified reality there comes into being a new cycle of reality—the growth cycle—a majestic downsweep from the heights of infinity to the domain of the finite, forever swinging inward to Paradise and Deity. To a creature, the beginning of the finite is the genesis of reality; as viewed by creature mind, there is no actuality conceivable prior to the finite. One of the forms of living beings that are not created, they are eventuated - they simply are. Their level of being is above our final, but below the absolute. They are superpersonal beings, unlike us mortals who possess the phenomenon of personality, they are endowed with absoluteness. These Transcendentalers are neither creators nor creatures; they are the eventuated children of divinity, ultimacy, and eternity. It characterized by things and beings without beginnings or endings and by the transcendence of time and space. Absoniters are not created; they are eventuated—they simply are. The Deity level of Ultimacy connotes a function in relation to absonite realities. No matter in what part of the master universe, whenever time and space are transcended, such an absonite phenomenon is an act of the Ultimacy of Deity. The governing corps of the Paradise Transcendentalers. This governing corps numbers 28,011 personalities, universe planners, possessing master minds, superb spirits, and supernal absonites. The absonite architects eventuate the plan; the Supreme Creators bring it into existence; the Supreme Being will consummate its fullness as it was time created by the Supreme Creators, and as it was space forecast by the Master Architects. During the present universe age the administrative co-ordination of the master universe is the function of the Architects of the Master Universe. These are the Paradise Sons of God created in perfection for the purposes of magisterial missions, dispensational adjudications, to act as supreme counselors to local systems settled in light and life, and to be a personal representation of the Eternal Son and the Infinite Spirit. They may or may not incarnate as a visible being, depending on circumstances. [UB, Papers 20, 49, 50 and 55] [pp. 223, 559, 572, 621]. Every time an original and absolute concept of being formulated by the Eternal Son unites with a new and divine ideal of loving service conceived by the Infinite Spirit, a new and original Son of God, a Paradise Magisterial Son, is produced. These Sons constitute the order of Avonals in contradistinction to the order of Michael, the Creator Sons. Though not creators in the personal sense, they are closely associated with the Michaels in all their work. The Avonals are planetary ministers and judges, the magistrates of the time-space realms--of all races, to all worlds, and in all universes. Under normal circumstances, spirit personalities like the descending sons of God, or ascending sons of God, including mortals who have left their planets of nativity and have become morontial beings, cannot be seen by mortal eyes. These are classed as a celestial beings. This category does not include mortals still in their physical bodies and currently hailing from other inhabited, evolutionary planets. Includes all orders of spirit or morontia beings that have volunteered to serve in Christ Michael's Correcting Time for Urantian mortals and for the other 36 planets from Satania that had been isolated because of the rebellion. Nearly all orders of created beings serve as celestial teachers, from the Mansion World teachers to those of Paradise origin. Also, a large number of these teachers are morontial beings, having lived on evolutionary planets during their mortal lifetimes, and have since traversed much or all of the mansion world experiences and education, some having already fused with their Adjusters. They have been trained by the Melchizedek order of beings to aid us individually in our spiritual growth and to perform a service of assisting us to uplift the civilizations and social fabric of our world. They serve in the capacities of personal and/or group teachers, communicating with mortals through a mind-to-mind process known as transmitting/receiving or TR-ing. The transcripts located in this web site have come into being through this method of communication. To use the practice of Stillness to prepare body and mind for communion with the Eternal Father, to enter into the flow of the circuits and be in harmony with the universe. This process is also used for personal communication with ones Thought Adjuster or other Celestial beings, or to achieve group attunement of mind, heart and spirit during sessions of TR-ing with the Celestial Teachers. Consists of the Isle of Paradise, surrounded by three concentric rings (circuits) of architectural spheres, each containing 7 sacred spheres of the persons of the Trinity. Beyond these secret spheres of the Deities are found the one billion perfect worlds of Havona, arranged in seven concentric circles. Together with Paradise at the center, plus the 21 sacred spheres, and the seven circuits of the one billion Havona worlds, all of these systems constitute the Central Universe. The Central Universe is separated from the seven Superuniverses by two dark gravity belts, the inner belt rotating counterclockwise around the Central Universe, and the other one rotating clockwise, plus a semiquiet zone. [UB, Papers 11, 13-14] [pp. 118, 143 and 152]. Charles is of the Trinity Embraced Order of Administrators known in the Urantia Book as a "Mighty Messenger". He has been asked by the Avonal Son Monjoronson to become what on Urantia we would call a Manager of the Magisterial Mission activities. This means coordinating between the various missions such as the Michael Second Return interests, the interests of the Melchizedek Planatary Receivers, and a host of other activities on Urantia not now revealed. He coordinates with human groups that produce transcriptions for the Teaching Mission and the Magisterial Mission. Correcting Time - The Correcting Time includes every human, every soul on Urantia and on the other 36 planets involved in the quarantine from the Lucifer Rebellion. The date of the beginning of the Correcting Time is February 1, 1992, according to Teacher Ham, but it has been long on the mind of Michael, who started planning for this needed correction since the beginning of the period of isolation, 200,000 years ago. Some of the celestial teachers have been in training to assist these worlds for 1000 years of Urantian time. The Correcting Time refers not only to changes in the earth from natural and manmade causes from pollution and over-population, but also to changes that need to be made in regard to man’s institutions that deal with economics, politics, religion, education, and in the family, the basic social institution. This plan includes The Urantia Book text, the Teaching Mission, the Magisterial Mission, and will most likely be expanded in the future. It is a comprehensive program that will take approximately 1,000 years on this world, preparing for the beginning stage of Light and Life. Planet of experimental life. The majority of inhabited worlds are peopled in accordance with established techniques; on such spheres the Life Carriers are afforded little leeway in their plans for life implantation. But about one world in ten is designated as a decimal planet and assigned to the special registry of the Life Carriers; and on such planets we are permitted to undertake certain life experiments in an effort to modify or possibly improve the standard universe types of living beings. It characterized by creature life and time-space limitations. Finite realities may not have endings, but they always have beginnings—they are created. The Deity level of Supremacy may be conceived as a function in relation to finite existences. Reality is finite on the human level, infinite and eternal on the higher and divine levels. 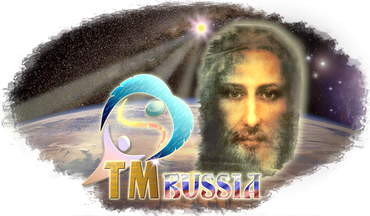 The experientializing God of transcended superpersonal values and divinity meanings, now existential as the Deity Absolute. This is the third level of unifying Deity expression and expansion. On this supercreative level, Deity experiences exhaustion of personalizable potential, encounters completion of divinity, and undergoes depletion of capacity for self-revelation to successive and progressive levels of other-personalization. Deity now encounters, impinges upon, and experiences identity with, the Unqualified Absolute. This sevenfold Deity personalization in time and space and to the seven superuniverses enables mortal man to attain the presence of God, who is spirit. This sevenfold Deity, to finite time-space creatures sometime power-personalizing in the Supreme Being, is the functional Deity of the mortal evolutionary creatures of the Paradise-ascension career. The actualizing or evolving God of time and space. Personal Deity associatively realizing the time-space experiential achievement of creature-Creator identity. The Supreme Being is personally experiencing the achievement of Deity unity as the evolving and experiential God of the evolutionary creatures of time and space. The personal Deity functioning on the divinity levels of the absonite and on the universe spheres of supertime and transcended space. The Ultimate is a supersupreme eventuation of Deity. The Supreme is the Trinity unification comprehended by finite beings; the Ultimate is the unification of the Paradise Trinity comprehended by absonite beings. God the Ultimate eventuate from the potentials of divinity residing in the transcended time-space domains of the master universe. God the Ultimate is the transcendental power-personalization of the directionization of the entire master universe. The completed eventuation of the Ultimate implies the completion of the master creation and connotes the full emergence of this transcendental Deity. As the Supreme is now spiritually and personally present in Havona, so also is the Ultimate there present but in the absonite and superpersonal sense. Ham is the Administrative Head of Teachers. He is the Group Teacher of Woods Cross, Utah and Nashville, Tennessee. He is more of an administrative personality. (It could be said that he is the “dean” of the celestial teacher corps). He has a different administrative role than Abraham. Light, a female-type entity, and her associate, WAVE (a male-type entity), were jointly commissioned by Father fusion of potentials with humans in teaching mission groups. They took origin in the early 2000's of Urantia's present calendar, and have no directly assigned duties to perform until Monjoronson arrives in the flesh. Their work while mostly confidential to the Magisterial Son, is as liaison personalities between the staff of Monjoronson (and to and with the future Jesus when he returns with Monjoronson in later years), and mortals of the realm who need direct and personal attention in order to become serving members of the Light Teams to be established everywhere around Urantia. (Heard as Mar-gool) Trinity Teacher Son. He has inspected Urantia recently and seems to be in the process of establishing a movement of enlightenment for the eventual goal of Light and Life. A staff of Teacher Sons has come with him, and is involved in giving forth information as advisors to other teachers in communication efforts. The name of Urantia's first Magisterial Son, an Avonal Son of Paradise origin, now planning his mission to uplift civilization through a co-creative effort with willing mortals for the healing of our planet. He will incarnate, as did Machiventa some 5,000 years ago, arriving quietly and without fanfare as a fully mature adult male. His mission will not bring sudden change, but a progressive one over the period of a thousand years or more that he will remain on Urantia in visible form. Although he is not yet in material form, he has been very active, teaching various individuals and groups of students within the Teaching Mission and worldwide. At that moment, Celestial Teacher communicates with other invisible participants in the spiritual world. Rayson - Group Teacher, Malibu, California; Group Teacher, Portland, Oregon; Currently (2014) group teacher for Northern Colorado. He is a "Senior Teacher," or "Master Teacher." He was appointed Communications Director in 1998, and frequently trains other teachers to work with us mortals on 606. Master Healer Assigned by Michael. His career was as a physician on his home world. An Order of Sonship not revealed on Urantia until the advent of the coming of Michael, known as the Second Return. This Order of Sonship originates on Uversa in the outer rim of planets dedicated to the planetar problems in various sectors of Orvonton. Her Order is referred to using the feminine pronouns and they incarante when required as females of the species on the planet which they may appear on as advocates of human difficulties that require immediate attention and correction. Serena has been a spokesman for the Magisterial Mission since 2004 and may be found by using her name to search of many transcripts. She will officiate in the flesh on Urantia when Monjoronson signals that She and her associates (a total of 12 in number for the Magisterial Son Mission) may join the staff of humans being planned for during the mission's early work on Urantia. Machiventa Melchizedek revealed the seventh and final value - "Life", during the session the New Era Transition #13. “Life” is the ultimate value of human species and of all species—sentient species—and even those that are not sentient. Life is a primary one around which the other six revolve to in a system of wholeness within them. This finally completes the set of values. These six values are innate to every person in their DNA. This is a very simple explanation of a very complex subject: The Paradise Deities functioning as the Trinity created a time lord, the Supreme Being to provide a focus point, a living repository, for all the experiences of time and then tasked the Supreme Being to unify that experience into universal values. With the help of the Supreme Being, infinity itself will somehow be refocused to include the actual living experience of every single person to appear in time. The Supreme Creators, which include the Paradise Sons and Daughters and others, who belong to this group, work with the Supreme to improve the experiential values of themselves and their children for the benefit of the Supreme. the mention of the Transmitter/Receiver during the session, who provides the process of Transmitting/Receiving. These discrete spirit presences are the pre-personal fragments of the Universal Father which hail from Divinington, and arrive to indwell the mortal of their choosing at the moment the mortal signifies soul potential by making their first moral decision, which is usually around the age of five years old. Although equal in endowment of existential divinity, they may vary in the amount of experience they have accumulated by prior indwellings in non-fusion candidates. The more experienced Adjusters go to the minds of those mortals who have a higher type of mind potential and spiritual capacity, based on personality and hereditary forecasts. Once an Adjuster is assigned to a mortal, the relationship continues as the Adjuster works with the mortal mind to create a new mind for your eternal career as a spirit being with uplifting and advancing illumination of spiritual ideals. Other names for Thought Adjusters are Thought Controllers and Mystery Monitors. Although “we” have called our world “Earth,” the rest of the Universe calls our planet “Urantia.” It has been known as such, long before there were inhabitants able to communicate with a spoken language. The name takes origin from the Planetary Supreme who arrived with the Life Carriers to implant life, and who is named Urantia.